The Dallas plan was designed to be highly flexible and easily modifiable to suit multiple homeowner requirements. Elements such as the arrangement of Great Room built-ins and use of flexible spaces make customization a breeze. 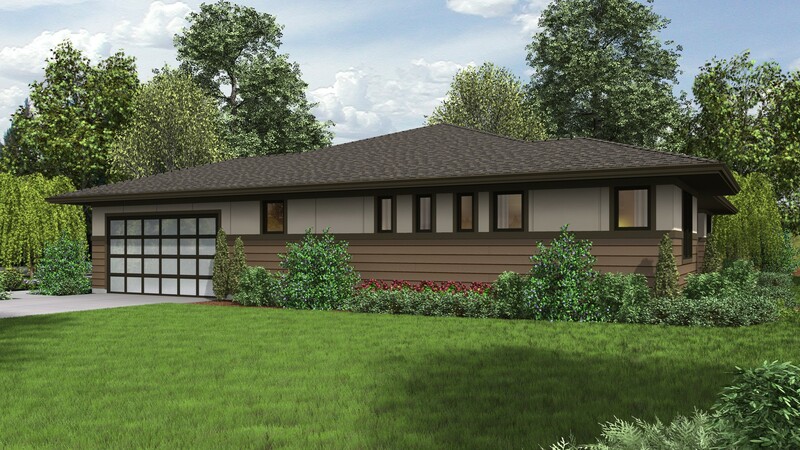 The garage is designed to accommodate a front or side entry, and the plan is set up to take advantage of views to either the front or rear, making it suitable for many lots and orientations. With its open single level layout, large pantry, ample storage throughout and a great outdoor space, the Dallas plan suits young expanding families and seasoned couples alike. 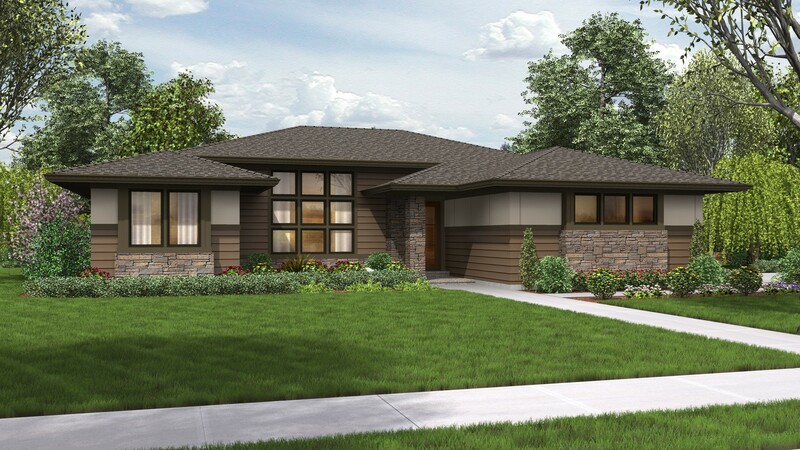 How much will this home cost to build? We are the designers of every home displayed and available on this website. 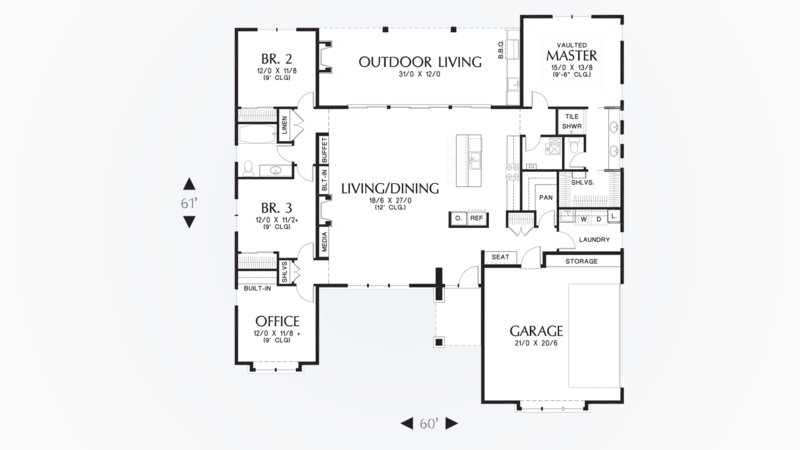 Though you may sometimes find our home plans advertised and for sale elsewhere both online and in print, it makes sense to purchase your plan directly. Place your order confidently knowing your home plans come from the original source, and that you have the support of the designer of your home. As the original designer and copyright owner - we can beat any lower price you find a Mascord plan for sale - on any website authorized to sell our plans. Before you make your purchase, simply give us a call, direct us to the site you have seen the lower advertised price, and we'll not only match that price - we'll also give you a further 5% discount and extra special customer care :-). (The advertised plan must be the same as the plan being purchased, including product type - 5 Set, 8 Set, Hybrid, Reproducible, or CAD File, etc). Our standard price-beating guarantee refers to regularly listed prices, but if you find any coupon, special offer, bonus offer, freebies or rebate offered on a competing website, call us, tell us where it is, and we'll see if we can beat that too! We have Unpublished Plans too! We only publish a small subset of 'base plans' through our publishing outlets and thrid party websites, but have direct access to thousands of previously modified versions in our inventory. Working with us directly, we can help to find the version that suits you best - sometimes without the need to modify further. If you have questions about an element in the design, or your contractor has a question during construction - we are able to answer those questions for you quickly and accurately, without the need for you to go through a third party. We support all of the plans we sell, and by purchasing direct, you're able to take advantage of the high level of customer service we provide. Will This Design Work For Your Location? The base code requires that the design of your structure meet certain requirements. The code allows for a couple of ways to meet these requirements. The first method is known as "prescriptive" wall bracing, and is built into the code as prescribed building elements that must be included at specified positions of the building. Prescriptive methods are acceptable as long as the structure's design fits within certain limitations (wall height, window size/location, etc.). The second method is to demonstrate, by engineering analysis, the forces imposed upon the structure, and the design of structural elements to withstand those forces. Whereas the prescriptive method imposes certain limitations on the design of the structure, the engineering analysis of the building allows for greater flexibility in the design, while ensuring it can withstand the actual natural forces the structure will experience. In almost all cases, Mascord designs will require site specific engineering analysis. This analysis is required to be conducted by a professional, such as a structural engineer, who is licensed by the state in which the structure will be built. The analysis is specific to the exact building site - for this reason, we do not have "pre-engineered" plans that can be built anywhere. An engineer will need to review the plans and provide an engineering analysis report and additional drawings and specifications to go along with your plans for permit submittal. You should allow for additional time and expense to complete this process. Some regions have additional engineering requirements, such as earthquake-prone areas of California and the Pacific Northwest, or the Gulf, Florida, & Carolina coasts that are frequented by hurricanes. Additional Wind and Seismic engineering drawings are required to accompany your home plans to obtain a building permit in most areas. These additional drawings need to be provided and stamped by a professional licensed in your state. In most cases we have working relationships established with engineers who can help you obtain the necessary drawings cost effectively, or you are welcome to source your own local engineer. When the design includes retaining walls, these will also require engineering. Although the code provides for some prescriptive basement and concrete/masonry wall designs, these only work in limited situations. The use of site-engineered retaining walls allows for much greater design flexibility and ensures that the walls are designed specifically for the design loads, unique soils, fluid pressures, and drainage characteristics at the building site. It makes little sense to place the most expensive investment a family typically makes onto a foundation that is not designed for the unique characteristics of the land on which it is set. 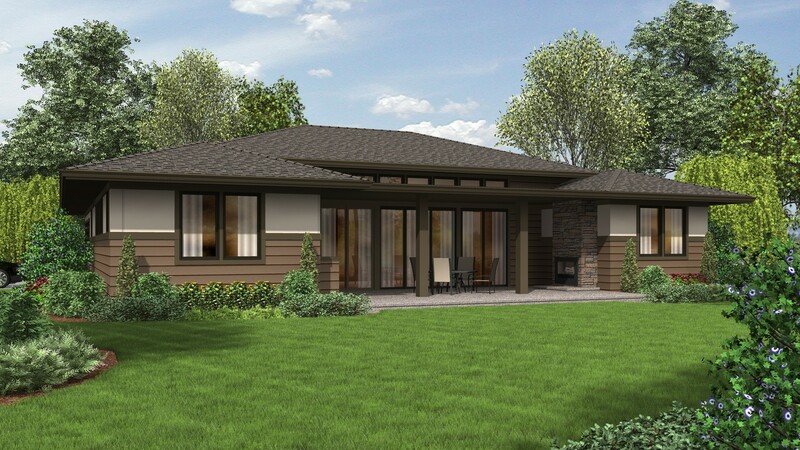 All Mascord house plans are designed and detailed to conform to The International Residential Code (for orders out of state), or Oregon and Washington local state codes (for orders in those states). Your area may have also have specific energy codes that have to be followed. Compliance could include filling out forms providing evidence that your construction drawings meet requirements. In many cases the forms are simple and can be filled out by yourself, or with the aid of your General Contractor. To find out exactly what drawing details you should expect with your Mascord house plans, see "What's included in a Plan Set?" If you aren’t sure what may be required, contact your building department and ask for a list of all of the items they require to submit for and obtain a building permit. We typically calculate and provide sizing of beams for a snowload of 25 psf. You may need beams sized to accommodate larger roof loads specific to your region. We are able to help with this; please speak with our sales staff to discuss your options. Building jurisdictions in several states - including California, New York, New Jersey, Nevada and Illinois - require that your home design is reviewed and your entire set of construction drawings is stamped by a local professional. If you are building in such an area, it is most likely you will need to hire a state licensed structural engineer to analyze the design and provide additional drawings and calculations required by your local building department. In addition to the construction drawings, you may also need a site plan that shows where the house is going to be located on your chosen property, along with any grading and water management / septic system requirements. Although we make every effort to ensure the accuracy of our design information, we reserve the right to make corrections on our floor plans or elevations as needed. Copyright © Alan Mascord Design Associates Inc - All right reserved.